June is only a few days old, but it’s already been a special month for me personally. Last Friday, I was both honored and humbled to receive the “Excellence in Public Sector Service Award” from the Latin Chamber of Commerce of the United States (CAMACOL). Based out of my home state of Florida, the organization is one of the most influential minority business associations in the nation. For decades, it has done great work to open new doors of opportunity for U.S. businesses, and I greatly appreciate CAMACOL’s recognition of my work in the global marketplace. However, as I always say, I don’t do this work alone. I have the pleasure of serving with the talented staff of the International Trade Administration (ITA). Located in roughly 100 U.S. cities, and more than 70 countries, they work tirelessly to represent the interests of American businesses in markets all over the world. As you’ll see in this month’s edition of the International Trade Update, they continue to do great work to help American-made products reach as many international consumers and markets as possible. We held Trade Winds — Asia, an event to help U.S. companies, across a wide-range of sectors, explore the incredible opportunities in the Asia-Pacific region. U.S. goods exports to the region totaled nearly $900 billion in 2011 — a 15 percent increase from 2010. Incredibly, there is potential to do more, and we are working to help companies make the most of this promise. Additionally, in Hong Kong, Commercial Officers from ITA organized the largest ever Filmart conference, bringing together American film companies to meet with regional distributors from across Asia. This business forum, and others like it, ensures that American entertainment companies are well positioned to prosper in this important market. 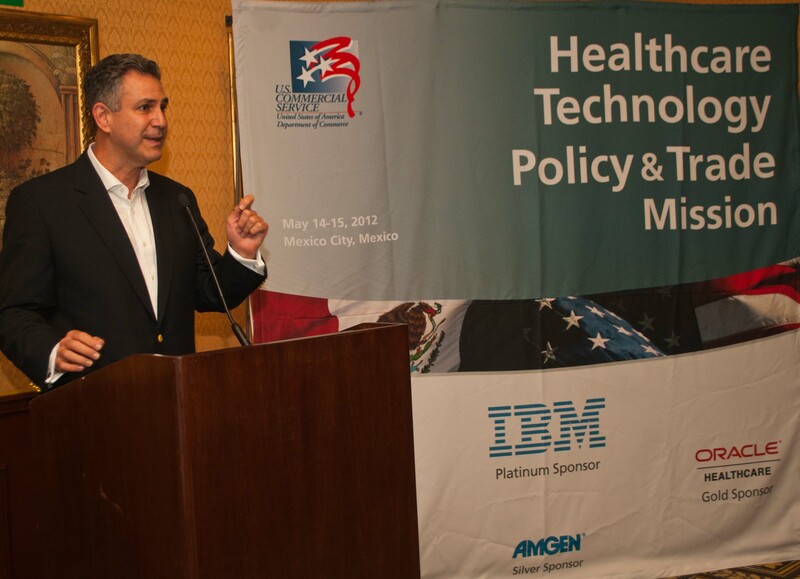 I was also proud to lead a delegation of 17 U.S. companies on the first U.S. Healthcare Policy Trade Mission to Mexico. The Mexican healthcare sector has invested an estimated $500 million in healthcare information technology systems; its government is expanding healthcare coverage to all citizens, and with 4 percent economic growth expected in the country for 2012, this is an ideal market for U.S. medical sector products and services. One final highlight from last month: we celebrated American exporters at the President’s “E” and “E Star” annual awards ceremony, which recognizes those who make significant contributions to the U.S. export industry. The event was held at the White House with special guests Commerce Secretary John Bryson, and Valerie Jarrett, Senior Advisor to President Obama. A record 41 companies were honored for their excellence, and, in the larger picture, the event emphasized how important U.S. exports are to America’s economy and future. The numbers are clear: in 2011, the total value of U.S. exports reached a record $2.1 trillion; these exports supported nearly 10 million jobs at a time when putting people to work is a national priority. That’s why ITA remains firmly committed to helping companies sell products that are “Made in America” in as many markets as possible. One example: when this newsletter edition publishes, I am leading a trade mission to Russia focused on clean technology and energy efficiency. The Russian government has stated that the industry is a key to a modern economy, and we’re determined to ensure that U.S. products are a part of this growth. And over the next few weeks, ITA will have a number of announcements so keep in contact with us. June is poised to be a productive month. As I stated earlier in this column, it’s already been special for me. I was honored to receive an award for my public service. But, I don’t do my work to get awards; I do it to make a positive difference for U.S. businesses. And each new day brings new opportunities to do this work and make that difference. Get in touch with ITA, and those opportunities could be yours.